Neteller were formed in 1999 when the online gambling industry was in its infancy, so Neteller became the deposit method of choice for a large number of casino users; at one time being the single most used deposit method. This is no longer the case, however this payment method is still widely offered at many online casinos. Neteller, who are operated by Optimal Payments PLC, began in Canada, but relocated to the Isle of Man in 2004. To sign up at Neteller you’ll visit their site and be asked to fill out a form with various details about yourself, including your name, address and e-mail address. The site will send you an e-mail to verify your account, and the e-mail will also contain your account ID and secure ID, these being the two pieces of information you’ll use at Neteller. With your account set up, you’ll then load funds into your account. The quickest and easiest method of doing this is by using a debit or a credit card, but you’ll also be able to use other funding methods (dependent upon your location). Neteller is a pre-paid service, so you’ll only be able to use the amount that you have added to your account, although you’ll be able to add more at any time. A large number of online casinos accept Neteller as a payment option – if you are unsure check the payments page of a site or contact the customer services team. Many casino sites will list the payment options on the main page of the site (usually at the bottom of the page) for ease. Unfortunately you’ll not be able to make a Neteller deposit at a US friendly casino. To make a deposit to the site, you’ll head to the cashier page of the casino and click on the Neteller symbol. You’ll be asked to input your details as well as the amount you’d like to deposit – obviously you cannot deposit more than you have in your account. Unlike some payment types, you’ll be able to withdraw funds back to your Neteller account with ease. Neteller can be used to fund more than one gambling account and many users actually use the site as their gambling fund, moving money back and forth from casino sites to Neteller with relative ease. This has an additional bonus in that you’ll not have to supply a variety of online casinos with your banking details and you’ll also be able to take advantage of a wider variety of bonuses. 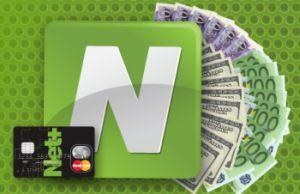 Deposits using Neteller are immediate, so you’ll be playing at the casino as soon as you submit the funds. When depositing to Neteller you will incur fees which are dependent on your payment type – these fees changing from country to country. All of these fees are listed on the Neteller site, so after logging into your account you’ll be able to see a full run-down. When depositing to a casino, you will generally not be charged a fee, although check the individual casino site to be sure. Similarly, withdrawals from a site back to this payment type will not usually incur a fee, however a withdrawal from Neteller to your bank will. A large majority of online casinos offer impressive welcome bonuses to entice customers to sign up at their site; these bonuses usually come in the form of a bonus based on the size of the deposit (normally a percentage) or free plays. 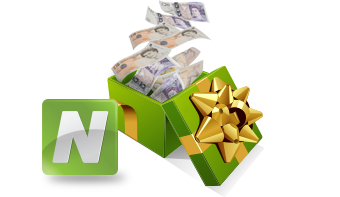 You’ll be able to take advantage of these bonuses when depositing with Neteller. Additionally, on occasions you’ll find extra bonuses when depositing with a certain payment method, so check your casino of choice to see if this applies here. BetFair are the top of my list when it comes to quick and easy deposits with Neteller. This brand has become an online casino giant – after beginning as a sports betting company. There are several unique features here, including the ‘zero lounge’ which includes games with no house edge at all. BetFair also offer you games from several different software providers (they primarily run on PlayTech). For a limited time you can get £10 free with no deposit required to check out their suite of live-dealer games – check out www.betfair.com for yourself now!